Material: 900D high density polyester, Eco-friendly material, Aluminum clad laminated EPE cotton etc. 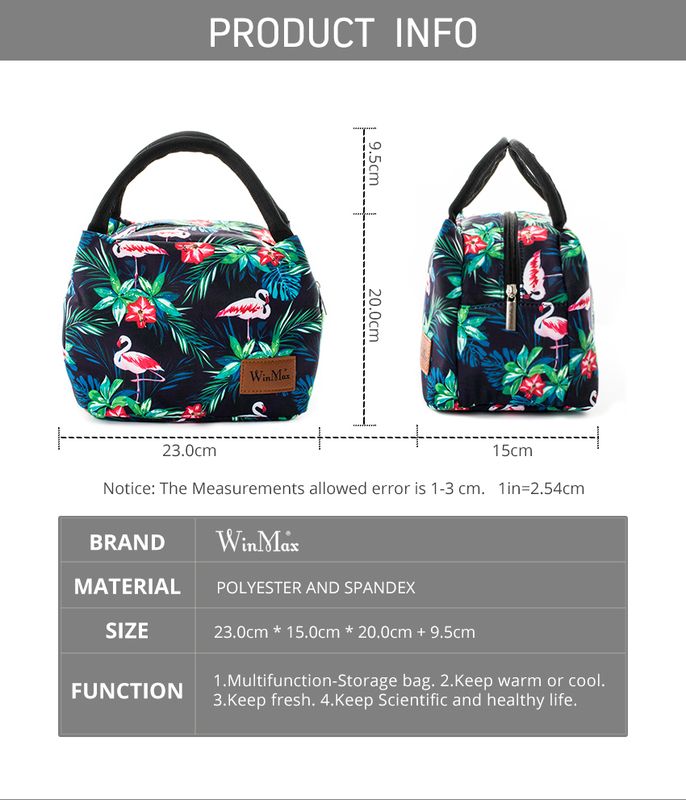 Muti-function: Food fresh keep, picnic, travel lunch bags, daily handle storage lunch bags, waterproof. 1. Please allow 1-3cm differences due to manual measurement, thanks. 2. Item color displayed in photos may be showing slightly different on your computer monitor since monitors are not calibrated same.